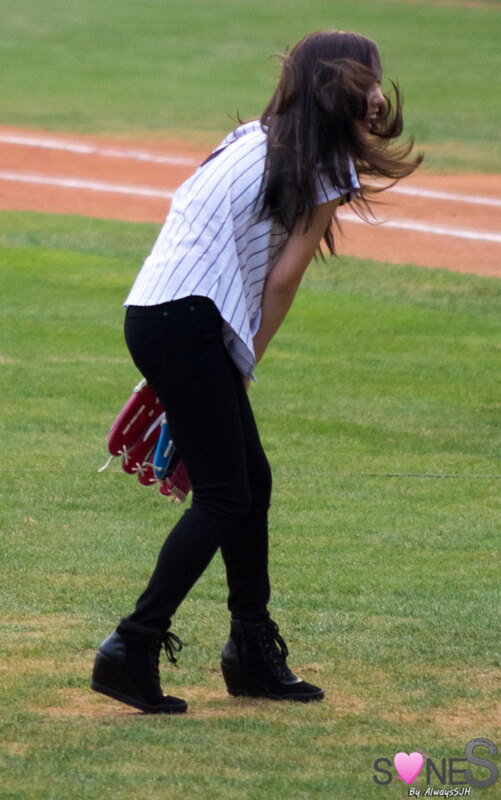 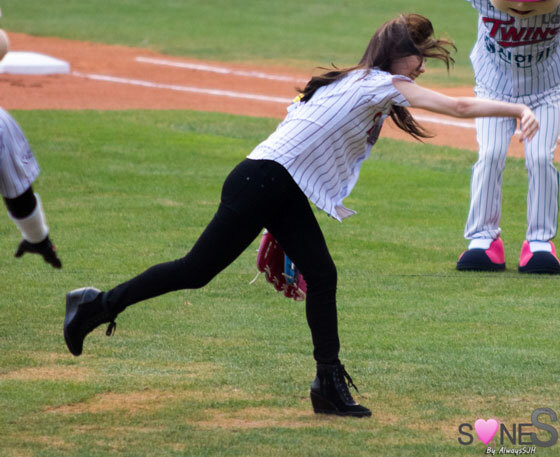 Taeyeon became the latest (or seventh) SNSD member to throw a ceremonial first pitch in a professional baseball game. 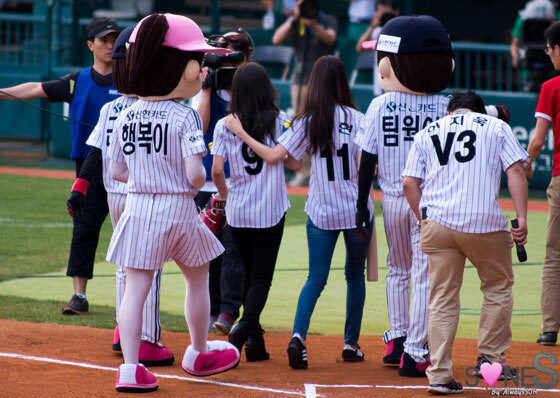 She’s in action for the LG Twins on August 27, with Seohyun appeared as the batter. Click pics for full res (~1500×1000).